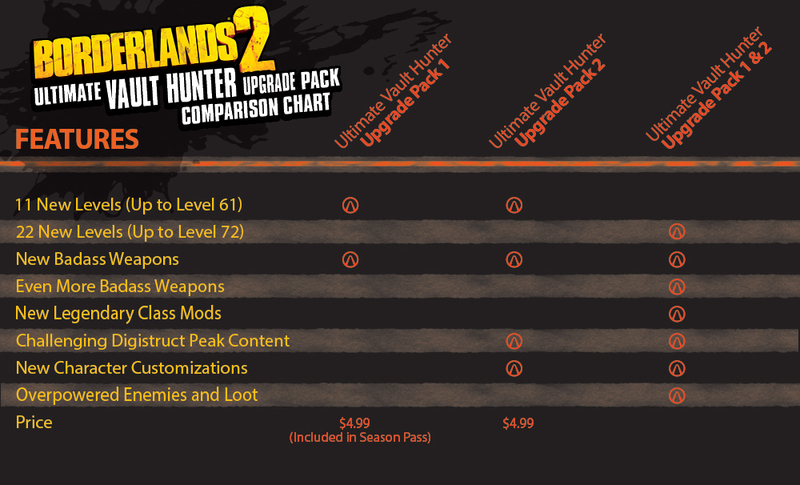 Today, 2K and Gearbox Software announced new downloadable content for Borderlands 2. The Ultimate Vault Hunter Upgrade Pack 2: Digistruct Peak Challenge is now available on all platforms worldwide for $4.99, and includes a new level cap, more legendary gear and the new “Raid on Digistruct Peak” map. Additionally, new heads and skins for each Vault Hunter are now available for only $0.99 each.